Sharyn has these great colors for us this week over at JUGS! When I saw this picture a few weeks back I was in LOVE right away! Don’t those colors scream happy! The bonus is…you can pick 3 or use them all the choice is yours! I used almost all of them…the only color I missed was the yellow! design team member SHARYN for sending me this awesome stamp set! It’s from Gina K Designs and is called You Make Me Smile. Sharyn sent me a boat load of really cool stamps! You are the BEST! 🙂 I so appreciate you! HUGS! Okay…here is some more info on my card. I used all SU ink and the DP is from Colorbok. couldn’t wait to use it! Used my Dots EF, rhinestones and ribbon and was done! 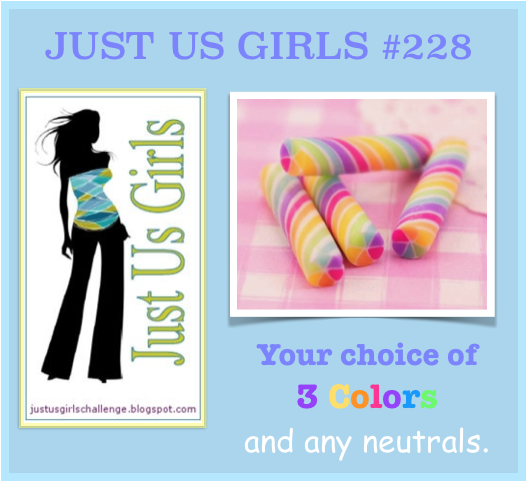 Please come on over to Just Us Girls and give these great colors a try! 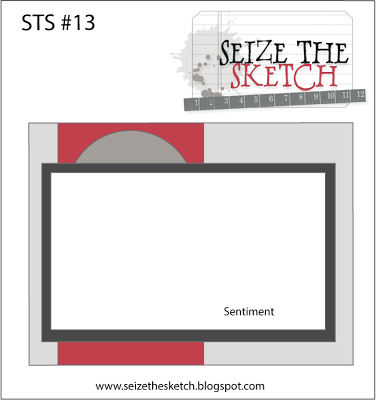 Categories: Cards | Tags: Card making, Cards, color challenge, rubber stamps, stamping | Permalink. They are indeed happy colors. Love the card! Your card makes me smile. I like how you used all the colors. Great design and a fabulous card. You captured the colors perfectly, such a FUN and bright and cheery card! Well done! So bright & cheerful! Love the bling centres on the flowers too 🙂 Thanks so much for coming to play with us at Seize the Sketch! You are the sweetest girl! Great job with both challenges. I love the colorful scallops in the background, and this stamp set was a perfect choice to showcase all of that great color! Well done, my friend! This card made me smile! Love how colorful it is and love how you used that sketch! So pretty! YOUR card made me smile, Nancy! LOVE how you used the colors! LOVE all of the scallops and the starburst flowers! FAB!